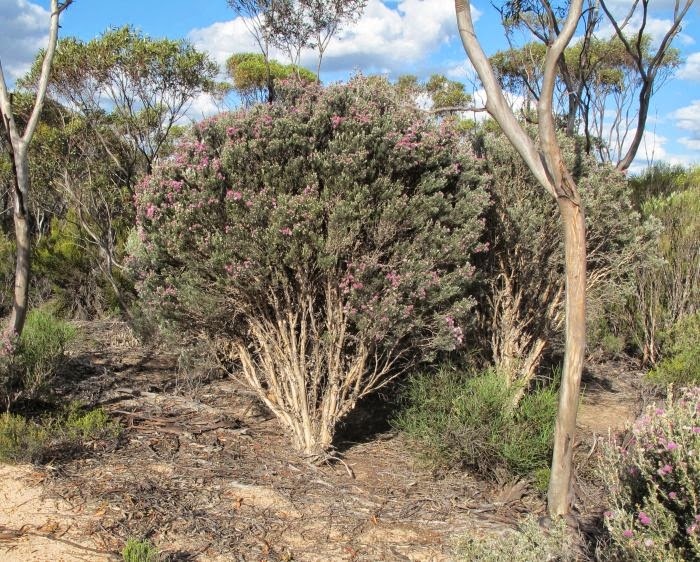 The most striking feature of this plant is not the colourful purple flowers, but the soft silky grey foliage especially on new growth. The leaves when young are covered in long appressed silky hairs that produce the grey colour and softness. 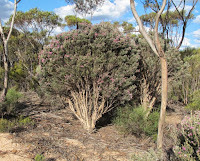 Generally Melaleuca sapientes is a bushy upright species, which can grow to around 2.5 metres (8’), although more often shorter to around 1.5 metres (5’) in height and commonly occurring in thickets where it forms the dominant lower story, with mallee eucalypts forming the upper. 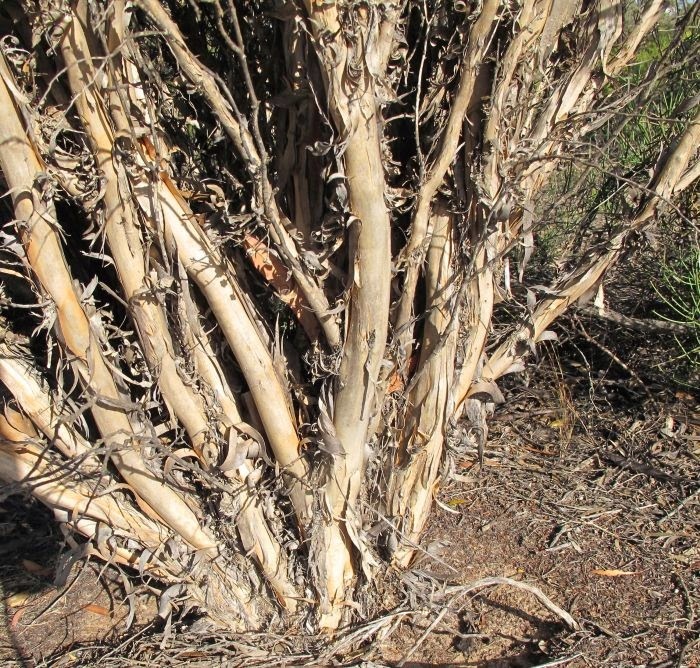 The paper-bark covered multi-trunks are more numerous when plants have space around them to spread, permitting them to form a bushy symmetrical shape. 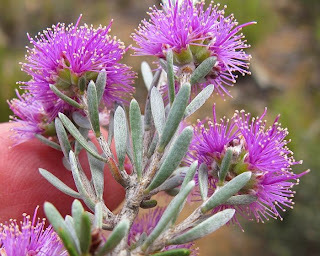 The terminal flowers that are around 2 cm (3/4”) diameter, are produced in considerable numbers and are quite striking when in full bloom, particularly in contrast with the light grey foliage. 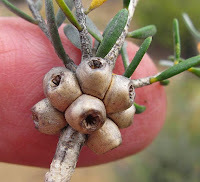 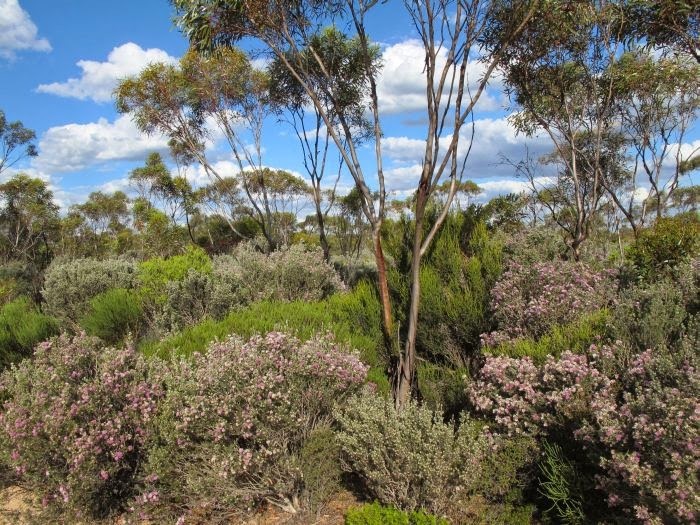 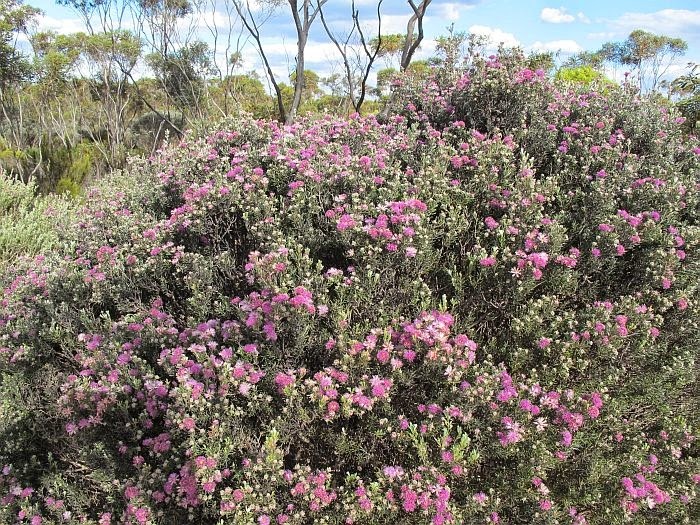 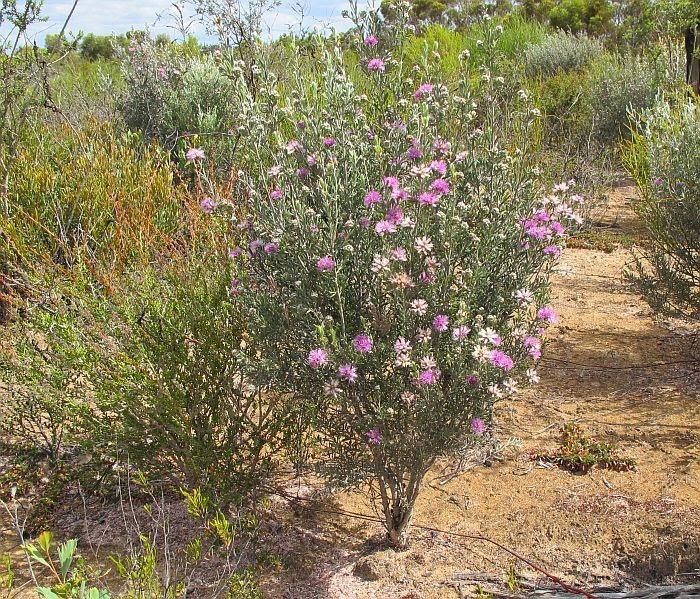 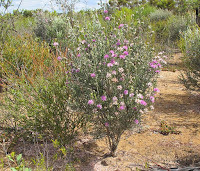 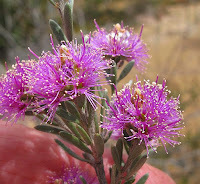 Melaleuca sapientes mainly occurs from 50 to 100 km (30-60 miles) from the coast in mallee scrubland. 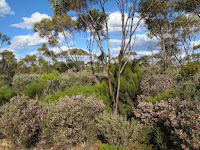 The soil type is usually a sand/clay combination overlying clay, limestone or preferably clay/gravel, and sited where light seepage over the substrate will retain moisture for longer periods, or alternatively in low-lying areas in its preferred 40 cm (16”) annual rainfall zone. 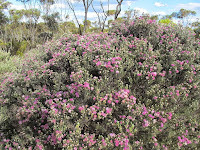 Although this Melaleuca is found east of Esperance to as far as the Nullarbor, it is more common to the north and NW, extending to the Stirling Range, NE of Albany. 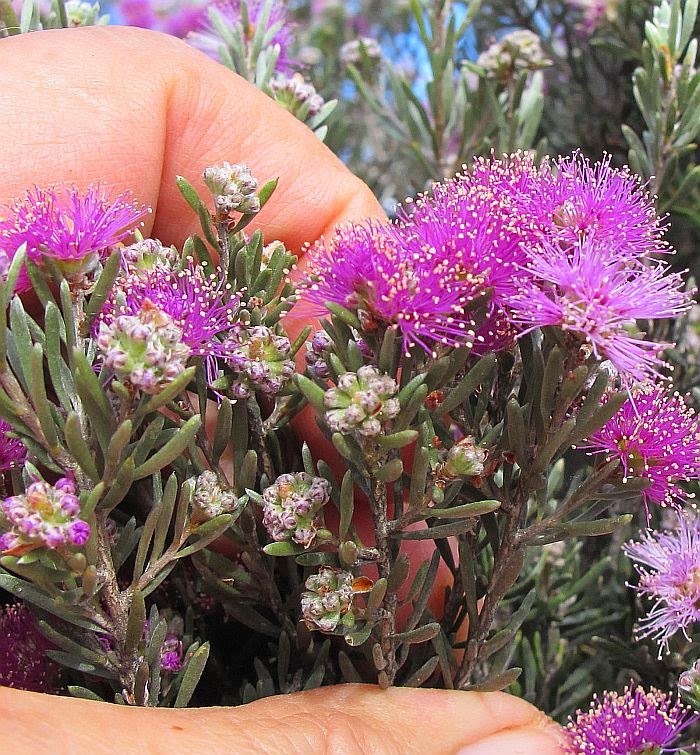 Flowering is anytime from November to February, but exact timing is dependent on local weather conditions.